What failure have you experienced that did not contribute to making you a better…? 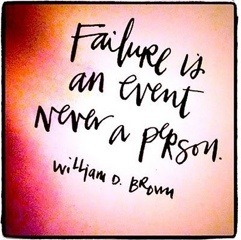 I believe failure is indicative of the spectacles we choose to wear throughout our lives. Failure doesn’t have to be a negative association, we make it a negative association by our own experiences and perceptions. I see failure as a resting spot along the journey. A time to step back and seek clarity, before proceeding forward. Peaks and Valleys…however, we forget to properly utilize our plateaus.